Can’t wait to find out what happens next after Avengers: Infinity War? You’re not alone. Let us break down the basics of Avengers: Endgame — where’s the first trailer? what’s the name? Who’s in the cast? What happens next?! Read on, and we’ll keep you up to date with all the trailers, announcements and weird theories. What’s the significance of the title, Endgame? Marvel Studios president Kevin Feige said that the movie’s title would be revealed “towards the end” of 2018, and the company cut it close. The title was revealed with the first trailer for the movie on Dec. 7, 2018. And it appears to hark back all the way to an exchange between Iron Man and Captain America in Avengers: Age of Ultron. When does Avengers: Endgame come out? Before then, we’ll get Captain Marvel on March 8, 2019. That movie is set in the 1990s, before Avengers: Infinity War or the main story of every other Marvel Cinematic Universe movie. Our first Marvel movie to be set after Avengers: Endgame is Spider-Man: Far From Home, which will hit theaters on on July 5, 2019.
Who is in Avengers: Endgame? 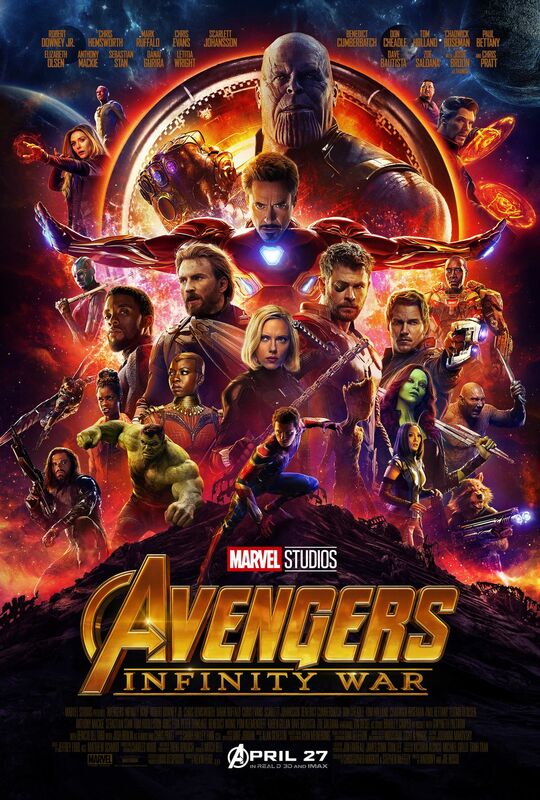 Robert Downey Jr. as Tony Stark, Chris Hemsworth as Thor, Mark Ruffalo as the Hulk, Chris Evans as Captain America, Scarlett Johansson as the Black Widow, Benedict Cumberbatch as Doctor Strange, Don Cheadle as War Machine, Tom Holland as Spider-Man, Chadwick Boseman as the Black Panther, Paul Bettany as the Vision, Elizabeth Olsen as the Scarlet Witch, Anthony Mackie as the Falcon, Sebastian Stan as Bucky Barnes, Tom Hiddleston as Loki, Pom Klementieff as Mantis, Karen Gillan as Nebula, Dave Bautista as Drax the Destroyer, Zoe Saldana as Gamora, Josh Brolin as Thanos, Chris Pratt as Star-Lord, Gwyneth Paltrow as Pepper Potts, Letitia Wright as Shuri, Samuel L. Jackson as Nick Fury, and Cobie Smulders as Agent Maria Hill. 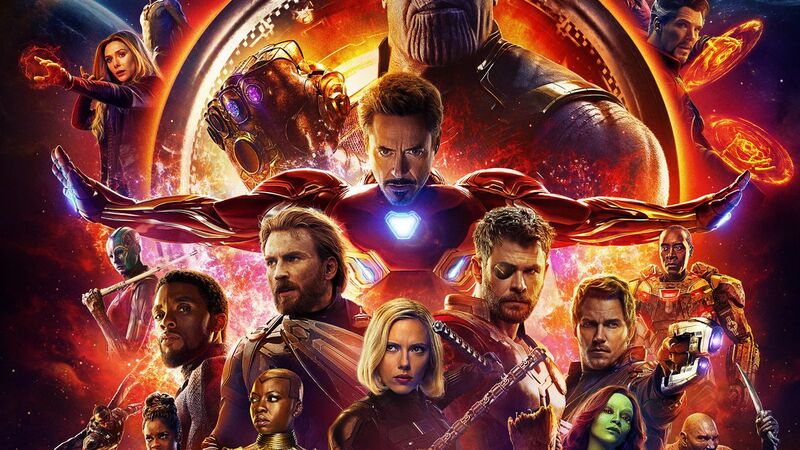 Additionally, some characters and actors who did not appear in Infinity War are confirmed to be hopping on board for this installment, including Jeremy Renner as Hawkeye/Ronin, Evangeline Lilly as the Wasp, Paul Rudd as Ant-Man, Jon Favreau as Happy Hogan, and Brie Larson as Captain Marvel, fresh off her introduction in Captain Marvel. With a normal movie, we might refer to an official synopsis here, or tell you what the movie is broadly about. But we all know what we’re talking about when we ask this question. We’re talking about the cliffhanger ending to Avengers: Infinity War in which a randomly determined half of the universe died. Marvel has kept the story of Avengers: Endgame tightly under wraps, and we’ve only gotten hints from the first trailer. Iron Man is adrift in space in the Guardians of the Galaxy’s ship — possibly with Nebula in tow. Meanwhile, on Earth, Captain America, Black Widow and Thor are grimly pulling their remaining allies together, including Ant-Man and Hawkeye, who’s adopted a dark new look. Undoubtedly, the Avengers will seek to live up to their name, and take the fight to Thanos. Who’s going to die? Who’s going to come back? That’s very much uncertain, given the place Avengers: Endgame has in Marvel Studios’ plan for the Marvel Cinematic Universe. The company’s future slate of movies is conspicuously bare, with only Spider-Man: Far From Home currently greenlit and with a release date. Sequels to Black Panther, Doctor Strange, Captain Marvel, and Ant-Man and The Wasp would follow from Marvel’s usual pattern, but those announcements have yet to arrive (although deals are in place for some). What’s after Avengers: Infinity War? Kevin Feige has said that what comes after Avengers: Endgame will represent a distinct new era for the franchise. It will have to be, as many of the lead actors of the Marvel Cinematic Universe reach the end of their contracts. Whose Marvel contracts are up, specifically? After Avengers: Endgame, Robert Downey Jr., Chris Evans, Scarlett Johansson, and Chris Hemsworth will all have reached the limits of their contracts, based on what is publicly known about those agreements. 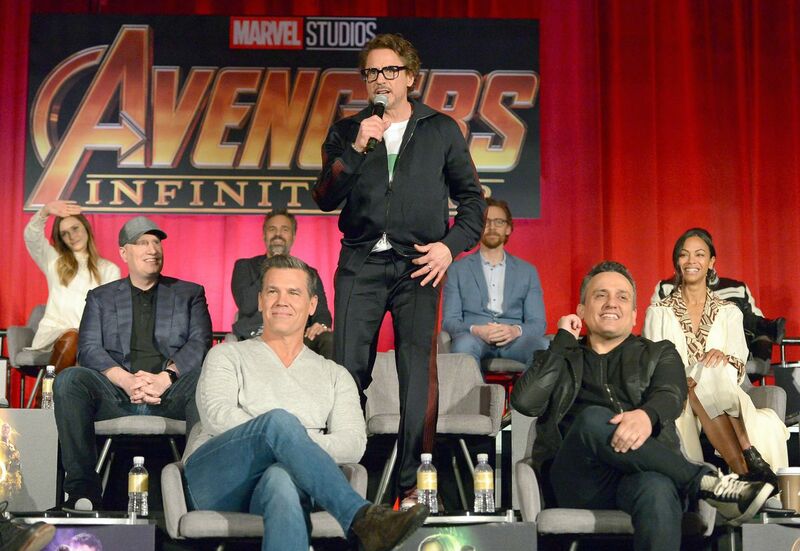 In Downey’s case, it’ll be the limit of his contract renegotiation, after he and Marvel Studios worked out a new deal that would keep him around for more than Marvel’s apparently standard six-film contract. Downey kicked off the success of the Marvel Cinematic Universe with his charismatic performance as Tony Stark in 2008’s Iron Man, but he’s not confirmed for any Marvel movies past Avengers: Endgame, not even to reprise his involvement in Tom Holland’s Spider-Man films. If Don Cheadle signed a standard six-film deal with Marvel Studios, Avengers: Endgame would also see him reach the end of his career as War Machine. On the other hand, while Chris Hemsworth has indicated that he wouldn’t mind coming back to the role of Thor, if asked. And since Marvel is developing a Black Widow movie, it’s likely that Scarlett Johansson feels the same way. OK, remind me ... Who got snapped? Who survived? Snapped or killed prior to the Decimation: Doctor Strange, Spider-Man, Black Panther, Vision, Scarlet Witch, Falcon, Bucky Barnes, Loki, Heimdall, Mantis, Drax, Gamora, Star-Lord, Nick Fury, Maria Hill, and the Wasp. Definitely survived the Decimation: Thanos (obviously), Iron Man, Nebula, Thor, Bruce Banner, Captain America, Black Widow, Hawkeye, War Machine, Okoye, M’Baku, Ant-Man, and Rocket Raccoon. Unknown: We haven’t seen hide or tail of Iron Man and Doctor Strange supporting characters Pepper Potts, Happy Hogan, and Wong since the Snap, but that doesn’t mean they turned to dust — just that we haven’t checked in with them. Similarly unknown is the fate of Shuri, T’Challa’s little sister and, presumably, the ruling queen of Wakanda after his death. We caught the briefest glimpse of her in the first trailer for Avengers: Endgame, where her photo was marked “missing.” Also marked missing: Ant-Man, who resurfaced alive and well at the end of the trailer — Shuri could also be alive but with her whereabouts unknown. And finally: Captain Marvel. Carol Danvers has yet to appear in an Avengers movie, so we have no idea where she was during the Snap or whether she survived. But we do know that Nick Fury beeped her, and that she’ll be appearing in Avengers: Endgame — and in a comic book universe it would be silly to assume that just because someone died doesn’t mean they can’t show up to stop trouble. What might happen based on the comics? 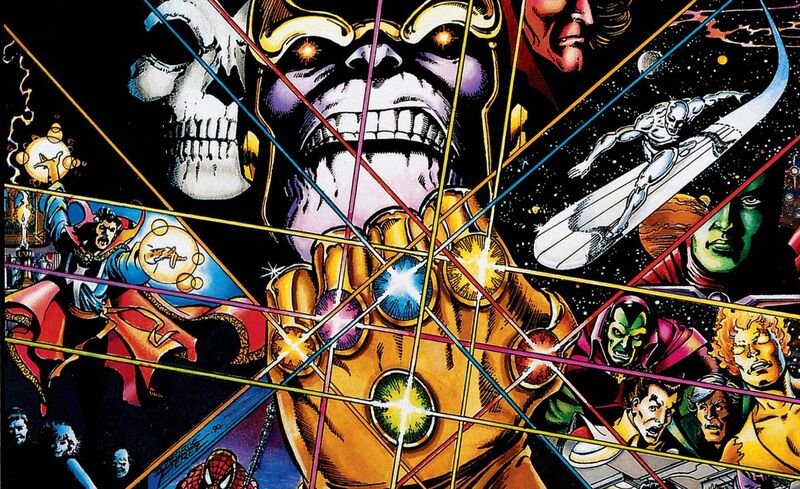 How does Avengers: Infinity War end in the comics? And that mysterious Soul Stone, which factors heavily into its own Infinity War subplot, might be the key to getting all of the dusted characters back. In Marvel comics, the Soul Stone actually contains its own pocket dimension, known as Soul World. We might have gotten a glimpse of it at the end of Infinity War, when Thanos has a vision of speaking with Young Gamora on a seemingly endless, orange plane. Or the Time Stone could roll it all back. We’ll all find out together when the movie hits theaters.